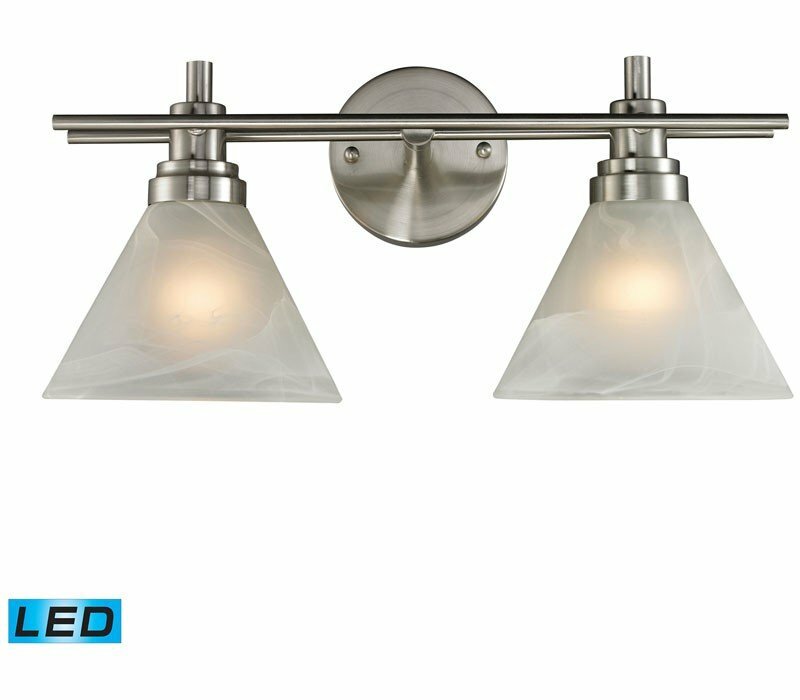 Marbelized White Glass - LED Offering Up To 800 Lumens (60 Watt Equivalent) With Full Range Dimming. Includes An Easily Replaceable LED Bulb (120V). 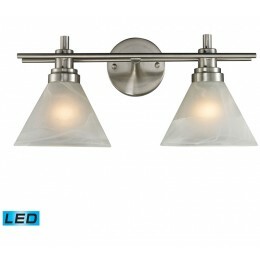 The ELK 11401/2-LED Pemberton collection Vanity Wall Lighting in Brushed Nickel uses LED light output and brings Contemporary style. The total wattage is 27 and the voltage is 120 volts. The ELK Lighting 11401/2-LED requires 2 bulbs (included). Additional Information: Shade-White Marbelized Glass - Type 1.